Title insurance: This protects your household investment from hidden hazards, unforeseen circumstances, and other defects which could impact your investment. There are typically two types of insurance: lender and owner. The former protects your mortgage lender while the latter covers your ownership of the property. They are both one-time premiums, paid at the time the policy is issued. Title Hazards: There are two types: hidden and discoverable. Hidden Title Hazards can include anything from undisclosed heirs and forged deeds to clerical errors. Discoverable Title Hazards are easily spotted in paperwork relating to the property if your home title insurance provider knows what to look for. A legal background is recommended. 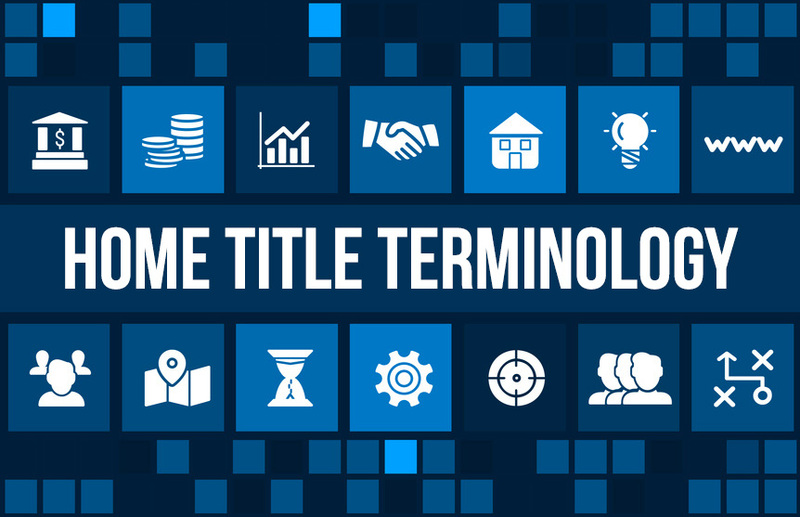 Title Searches: occur when the title insurance company you’ve hired conducts a thorough investigation into your property and its ownership history. This will aid in uncovering discoverable title hazards. Chattel Property: relates to property or possessions that are moveable. In other words, real estate cannot be included, but the contents of your home can. Fixed Property: relates to items of property that are not typically moveable, such as the house itself and the permanent fixtures inside it. This could be custom-fittings and items such as showers and bathtubs. Abstracts of Title: This acts as a biography of your property and includes a brief history of all previous owners and legal actions relating to the property in question. The aim of the Abstracts of Title is to attempt to find any hazards, hidden or discoverable, that potential buyers may encounter. TRID: is comprised of two federal statutes, TILA and RESPA, which oversees mortgage loan disclosures. Its aim is to protect consumers from “predatory loan practices”, and it does this by doing away with the four different disclosure forms previously required from lenders, and narrowing it down to two. ALTA: The American Land Title Association has been in operation for over a century and is the national trade association for title searchers, real estate attorneys, insurance companies and the like. Members are required to protect property owners as well as mortgage lenders from hazards and losses. Why make buying a home and protecting it any more of a headache than it needs to be? It protects the roof over your head, literally! At Florida Home Title Company, we do away with the legal lingo and lay out the process in a simple and pain-free manner. Contact us to learn more, and be sure to visit our blog which will keep you up-to-date with other industry terms, from Wet and Dry Funding to understanding the 1031 Exchange.